We are seriously troubled and terribly enraged by the illegal detention of the members of the National Solidarity Mission who have been held by the PNP-Talaingod, led by Chief of Police Rogasciano Gara and Deputy Chief of Police Sison, the 56TH IB of the AFP and ALAMARA. They were detained for three days and two nights with no apparent reason. The mission, which started on November 28, 2018, aimed at delivering school and food supplies in Salugpongan school in Dulyan Barangay Palma Gil in Talaingod since ALAMARA and the 56th IB of the AFP blocked the entry of school and food supplies. 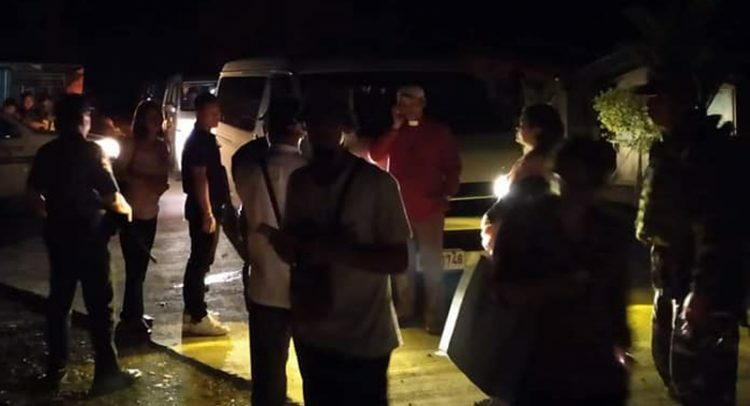 Among those detained include ACT Teachers Partylist Representatve France Castro, former BAYAN MUNA Representative Satur Ocampo, KATRIBU Chairperson Piya Malayao and church workers from various religious congregation in Davao region including our pastors namely Rev. Ryan Magpayo, SMDC Deputy Conference Minister; Rev. Jurie Jaime; Rev. Edgar Ugal and Rev. Eller A. Ordeza from the United Methodist Church. The participation of our pastors and lay leaders in the solidarity mission is an act of living out their faith which is also in keeping with the UCCP’s commitment as boldly pronounced by the UCCP Executive Committee in 1976 when they issued a statement that declares: “That the Church make a firm stand against forces of underdevelopment, especially among the cultural communities. Such a condition is sin and people manipulating such factors to further their greed at the expense of the people, are sinners in any language.” (UCCP Statement on Cultural Communities Affairs, Executive Committee action, May 19-20, 1976). Apparently, the exasperating attacks to the Lumad communities and those people who opted to serve them are direct violations on the rights and dignities of our marginalized brothers and sisters. The long history and persistent struggle of the Lumad in Mindanao to defend their ancestral domain and assert their legitimate rights had been bloody and had claimed many lives. But such has not hampered their struggle for freedom and self-determination, even against all forms of suppression and demonization of their just struggles. To those who cause injustice, our prayer goes “Hear, O our God, how we are despised! Return their reproach on their own heads and give them up for plunder in a land of captivity. Do not forgive their iniquity and let not their sin be blotted out before You, for they have demoralized the builders.” (Nehemiah 4:4-5). Dismiss the trump up indictments against those arrested, and stop being mercenary of power and money; be warned that whatever you do to the least of our brothers and sisters, you do it to God (Matthew 25:40). • Lift Martial Law in Mindanao, stop the attacks on Lumad communities, and allow Lumad children of their right to education through the Salugpongan schools. Extending Martial Law in Mindanao or expanding it to other parts of the country is certainly not a solution to the fundamental problems besetting our nation. • Resume Peace Talks to address the root causes of injustice and armed conflicts. • Be unceasingly prayerful and extend possible support for the safety of our Lumad brothers and sisters and members of the National Humanitarian Mission who were illegally detained and are now threatened to be charged with other trump up charges. • Be ever vigilant to defend resolutely the rights of the indigenous peoples and the least fortunate members of society. • Be true instruments of peace, doing only all acts that make for peace.